I always enjoy putting a twist on classic recipes. 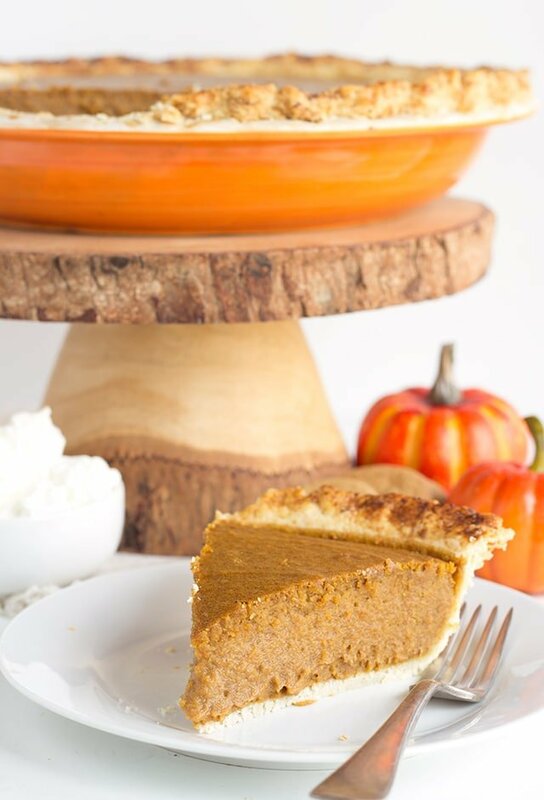 I love the taste of gingersnaps and pumpkin so I had to put them together for this pumpkin gingersnap pie. The texture was not harmed in the making of the pie, if you were wondering. It’s thick, creamy and a little ginger spicy love. You should probably try this recipe as soon as possible. That way, you will know that it needs to make an appearance at your dessert table on Thanksgiving Day. This recipe is part of a collaboration. There a ton of other awesome bloggers bringing some amazing pumpkin recipes to this #virtualpumpkinparty too. 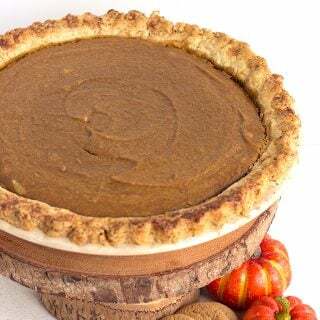 If you haven’t checked out my other twist on pumpkin pie, head over and take a peek at my peanut butter pumpkin pie I did last year. The peanut butter gave the pie an extra creamy texture. Yum. Also, I used my mama’s pie crust recipe that you can find in my orange meringue pie post. Add the gingersnap cookies to a food processor and process on high until the gingersnaps are a fine crumb. 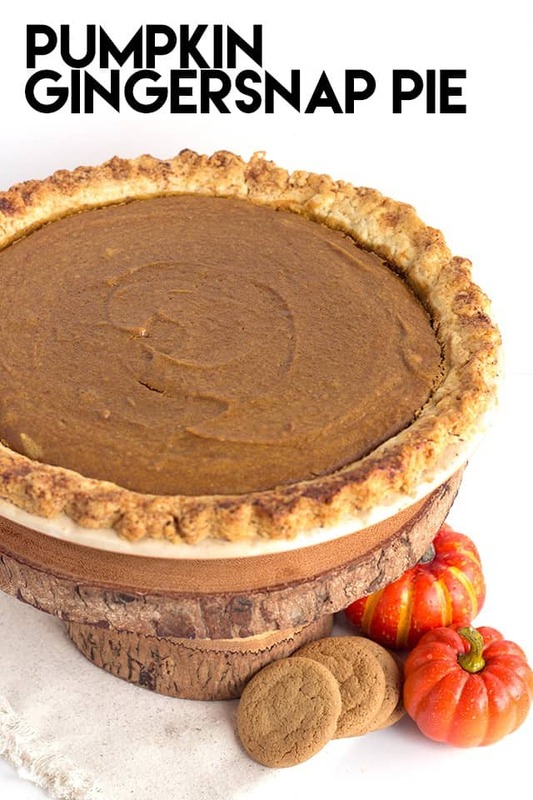 Roll out your store-bought pie or homemade pie crust to fit a 9.5 inch pie plate. Sprinkle 2 T. of gingersnap crumbs on top of the pie crust. Roll out to push the crumbs into the pie crust. Place the pie crust into the pie plate and crimp the edges. In a bowl, add in the remaining gingersnap crumbs and 1 and 1/4 cups heavy cream. Set aside. In a separate mixing bowl, add in the light brown sugar, ginger, clove, nutmeg and cinnamon. Stir to combine. Add in the pumpkin puree and mix with a hand mixer. Add in the maple extract and eggs one at a time. 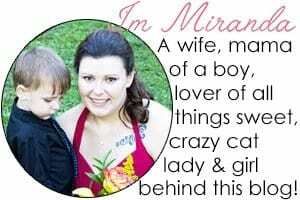 Mix until incorporated. Add in the heavy cream and gingersnap crumb mixture that was set aside. Mix until combined. Brush the edges of the crust with the 1 tablespoon of heavy cream. Place in the oven at 425 for 15 minutes. Reduce the heat to 350 and bake for another 25 - 30 minutes until the pumpkin pie is set. Place in the fridge to chill before serving. Let it set up for 2 - 4 hours. I love the gingersnap addition! Thanks for joinin in on the fun.